Ken Jones is a Partner in the Atlanta office of Hall Booth Smith, and he brings unique professional and educational work experiences to the firm in representing local governments and their employees in a multitude of matters ranging from alleged civil rights violations and law enforcement to employment matters. Earlier in his career, he worked on the staff of U.S. Senator Sam Nunn, assisting with a large group and local government constituent services and projects of major impact in agriculture, environment, transportation and disaster services. Ken also clerked for Presiding Judge Randall Thomas of the Montgomery, Alabama circuit. He was appointed the first in-house Staff Attorney for Bulloch County Board of Commissioners in Georgia, where he handled a wide variety of budgetary, personnel, procedural, contractual and administrative matters. He has considerable experience in commercial real estate, and as served as corporate real estate counsel for a publicly traded restaurant franchise company. He oversaw transactional work including parcel assemblage, development, construction and related due diligence, including zoning litigation. Ken and his wife Chris like in the Peachtree Heights West neighborhood of Atlanta, and are actively involved in Leadership DeKalb, where he served as Chairman of the Board of Directors. He volunteers with the Georgia 4-H Foundation Board of Trustees, which he credits for much of his personal and professional success in life. He is an avid photographer, and often volunteers his skills to capture events for the Atlanta Community Food Bank. Ken’s practice centers on litigation defense of government entities and their employees, as well as general liability claims for private companies and their employees on a variety of claims ranging from premises liability to vehicular accidents. “Question and Answer with Ken Jones,” Published in the DecPage Quarterly Magazine, the voice of independent insurance agents of Georgia, Fall 2014. “Road Acquisitions and Abandonment,” Georgia County Government Magazine, May/June 2012. “Understanding the Role of the County Attorney,” Georgia County Government Magazine, September/October 2012. “Don’t Get Hit With a Whistle-blower Lawsuit,” Georgia County Government Magazine, September 2003. “ADA Update: Supreme Court Rejects Ability to Perform Job Tasks Standard in Favor of Focusing on a Claimant’s Ability to Perform Activities of Central Importance to Daily Life,” For The Record, Vol. 4, No. 1, Spring 2002. “Eighth Circuit Holds Drug Dog Sniff of Package With Suspicious Label Does Not Violate Fourth Amendment Search and Seizure Principle,” Public Sector Alert, Vol. 1, No. 1, Spring 2002. “Georgia Court of Appeals Says County Board of Equalization Deliberations Are Subject to Open Meetings Act Requirements,” Public Sector Alert, Vol. 1, No. 1, Spring 2002. Announcement by the Defense Research Institute, the voice of the defense bar, about the Holmes trial. “Common Mistakes of Plaintiff’s Lawyers in Civil Rights Litigation,” Litigation Under 42 U.S.C. § 1983, ICLE of Georgia, November 2016. “Ethical Issues Arising from Simultaneous Representation of Governments and Their Employees,” Litigation Under 42 U.S.C. § 1983, ICLE of Georgia, November 2015. “County Road Issues: Abandonment and Disposal,” Presentation to the County Attorneys Section at the ACCG Annual Meeting, April 2012. “The Fair Labor Standards Act and Overtime Issues for Public Safety Employees,” Presented to the County Attorneys Section, May 2011. Seminar Lecturer: “Georgia’s Offer of Settlement Legislation,” Institute for Continuing Legal Education, Trial and Error Seminar, May 2006. Seminar Lecturer: “Qui Tam: Having the Whistle Blown,” 50th Annual Institute of City and County Attorneys, September 2003. Seminar Lecturer: “Qui Tam: Having the Whistle Blown,” Seminar in the South, June 2003. Ken has experience in handling the organization, maintenance and conversion of various business entities, including profit and non-profit corporations, limited liability companies and partnerships. Ken understands the nature of the role government plays in our everyday lives. Ken has a Master of Public Administration, worked on large projects and constituent services for former Senator Sam Nunn prior to law school, and worked as an in-house attorney for Bulloch County, Georgia. These experiences and knowledge of governmental activity give Ken the ability to help our clients navigate bureaucracies and advance their needs. Ken represents numerous local governments and law enforcement departments in defending civil rights violation claims as well as land use and zoning suits. He was the first in-house Staff Attorney for the Bulloch County Board of Commissioners. • Has obtained numerous victories through successful motions for summary judgment in cases ranging from civil rights violations to simple liability claims as well as jury and nonjury defense verdicts for police officers. Ken represents principally public employers in Title VII claims for assorted discrimination claims. He has represented entities both before the Equal Employment Opportunity Commission as well as in court. Ken represents physicians and dentists in professional negligence claims they face. He has a keen interest in understanding the art of the medicine and techniques in question, and works with his clients to understand more fully the intricacies of details of the decision making processes and the procedures they. This enables Ken to effectively work to defend the physician or dentist in appropriately finding and working with that professional, and with expert witnesses, to present their case in an understandable way for the lay person to comprehend. Ken also represents physicians and dentists before their respective licensure boards when required. Ken represents non medical professionals in claims raised by their clients and customers. In particular, he has developed an extensive practice in representing insurance agents in claims filed by their customers alleging errors and omissions related to insurance coverage and procurement. Has represented numerous insurance agents in failure to procure claims, including victories through successful summary judgment arguments. Has represented attorneys in legal malpractice claims, including a key victory through a successful summary judgment argument. Ken has a background in commercial real estate and can provide unparalleled service to existing and new firm clients in this area. 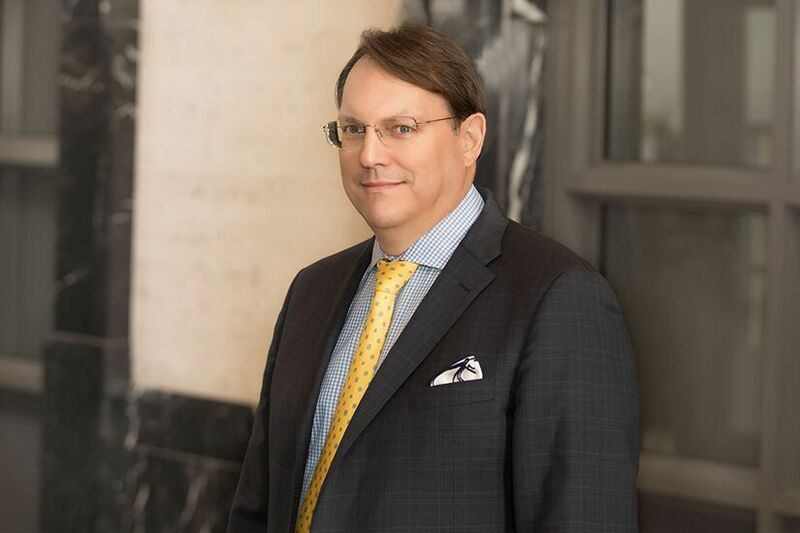 He has worked as both outside counsel for real estate developers in private practice and was Corporate Real Estate Counsel for an international, publicly traded restaurant franchisor.